Moscow court returns Navalny brothers Yves Rocher embezzlement case to prosecutors | Russian Legal Information Agency (RAPSI). 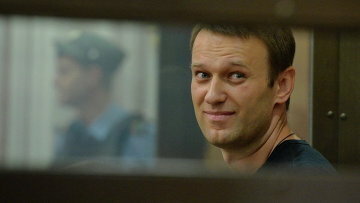 MOSCOW, April 28 (RAPSI) - Moscow's Zamoskvoretsky District Court on Monday ruled to return a case against opposition activist Alexei Navalny and his brother Oleg to prosecutors, attorney Vadim Kobzev told RIA Novosti. The court thus granted a motion filed by the defense of the Navalny brothers. The brothers stand accused in a fraud case involving cosmetics company Yves Rocher Vostok. Investigators allege that the Navalny brothers embezzled upwards of 26 million rubles (over $723,651) from the cosmetics company, as well as upwards of 4 million rubles (over $111,331) from the Multidisciplinary Processing Company by way of a fraud scheme. The brothers were further charged with having laundered 21 million rubles. Alexei Navalny has already been given a suspended sentence of five years for the embezzlement of funds owned by Kirovles company. Alexei Navalny ran for Moscow mayor in 2013, losing to the Kremlin-backed incumbent, but boosting his public exposure through a vigorous grassroots campaign. He gained just over 27 percent of the vote, well above what initial polls suggested he would get. 17:56 28/04/2014 Moscow's Zamoskvoretsky District Court on Monday ruled to return a case against opposition activist Alexei Navalny and his brother Oleg to prosecutors.